Home Politics GOV. BELLO MASARI, TRANSCORP MD NOMINATED TO RECEIVE PRESTIGIOUS 2018 PEACE ACHIEVERS AWARD. GOV. BELLO MASARI, TRANSCORP MD NOMINATED TO RECEIVE PRESTIGIOUS 2018 PEACE ACHIEVERS AWARD. The Executive Governor of Katsina state, Rt. Hon. Aminu Bello Masari, and the Managing Director of Nigeria 5 Star Transcorp Hilton hotel, Mr. Valentine Ozigbo, have been nominated as award recipients of the 7th edition of the prestigious 2018 Peace Achievers Award, which will be hosted in Abuja, Nigeria on the 22nd of September. According to the organisers of 2018 Peace Achievers Award, the nomination and careful selection of Governor Bello Masari of Katsina state amongst other governors, was in view of his unequivocal commitments to projects that promotes peace and unity in Nigeria. The director of the peace initiative, Amb. Kingsley Amafibe, stated that Gov. 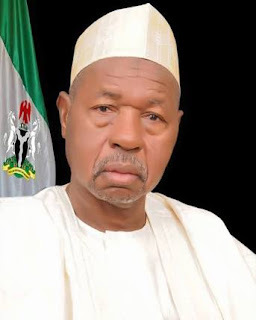 Masari is an indespicable agent of peace, who has done commendably well in peace related developments for Nigeria and across the boards. He also stated that the nomination of Hiltons' MD, Mr. Ozigbo, is geared at recognising his undying support for peace initiatives and social justice in Nigeria. Amb. Amafibe stressed that Mr. Ozigbo has displayed several exceptional gestures in funds and kind to improve peace related developments in Africa. However, the forthcoming prestigious 2018 Peace Achievers Award, will hold at Transcorp Hilton Hotel, and would have the presence prominent figures and other distinguished Award recipients from across Africa.